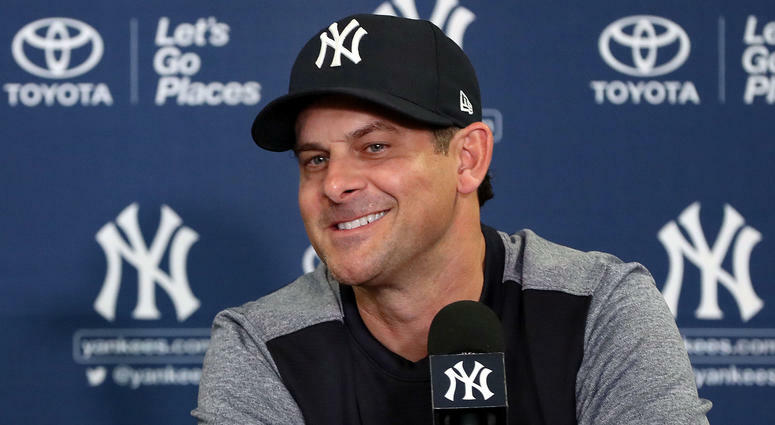 Yankees Manager Aaron Boone will have his first postseason game in the role on Wednesday night when the Yankees host the Oakland A's in the American League Wild Card Game. On Tuesday afternoon, Boone still had one thing left to announce before the one-game playoff. "Luis Severino will start tomorrow for us," Boone said, referring to one of the Yankees aces, who went 19-8 with a 3.39 ERA. Boone went with Severino instead of J.A. Happ, who was phenomenal since coming to the Yankees in late July, and Masahiro Tanaka. "Really excited to give him the ball tomorrow. I feel like after some bumps in the road certainly the second half of the season, he's turned a corner and really started to throw the ball better. I think he's ready for this. He'll be pitching on plenty of rest, and hopefully he can get us off to a good start tomorrow."